DUE TO FAMILY CIRCUMSTANCES / EMERGENCIES, THIS EVENT HAS BEEN CANCELLED. IF YOU BOUGHT TICKETS, THEY WILL BE REFUNDED. PLEASE KEEP AN EAR OUT FOR A NEW DATE IN 2019. THANKS AND SO SORRY FOR THE INCONVENIENCE! Here we go again! Get ready for another fantastic collaboration of local puppetry artists and incredible musicians! 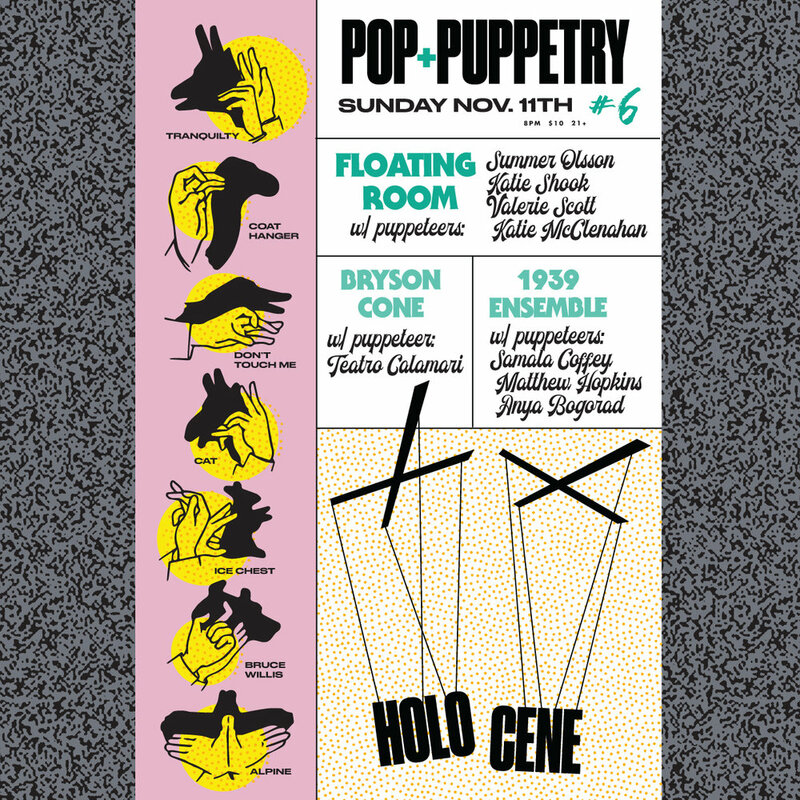 Pop + Puppetry will grace the stages and walls of the Holocene for ONE NIGHT ONLY! Bands and performers to be announced soon. Ticketing links also coming soon.